Chennai, India - December 27,2012. 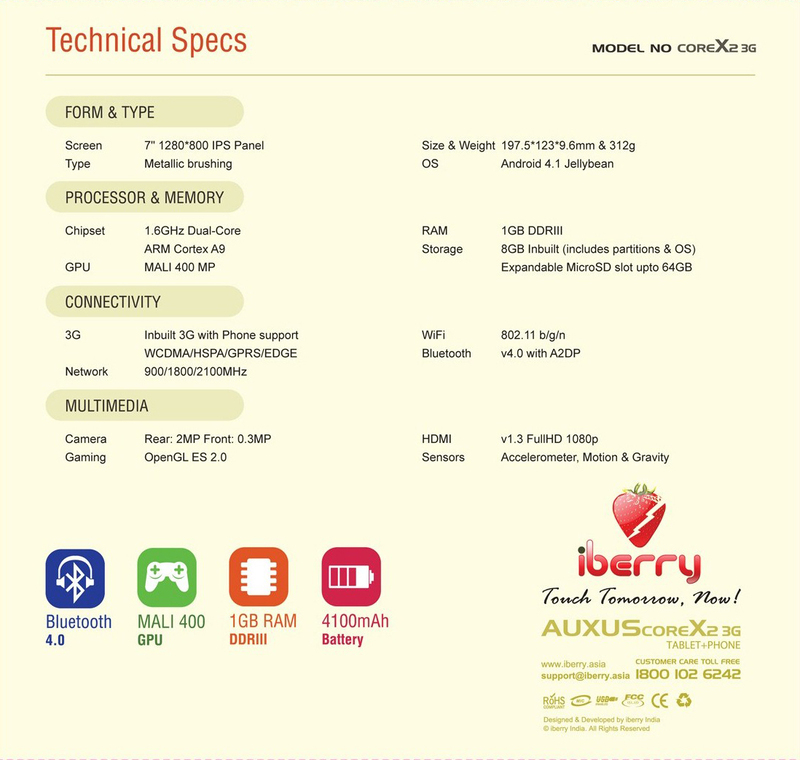 With the successful run of the earlier model Tablet PCs, Auxus AX01 and Auxus AX03G, we at iberry, are all set to launch our new models which is carved in-line with one of the most desired factor of end consumers- THE PERFORMANCE. When the current Indian Tablet PC market is flooded with price-driven Tablet PCs, we take immense pleasure and pride to announce the launch of India's 1st Dual-core CPU and Quad-core CPU based Tablet PCs both with inbuilt 3G SIM slot for calls and Internet. 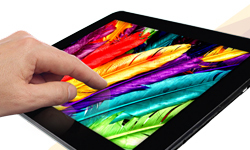 The first model tagged as Auxus CoreX2 3G, which specifically refers to its dual-core (2 cores) processor comes with a 7" IPS display of a massive 1280x800px resolution with 210ppi which is the highest among any 7" Tablet PC so far. 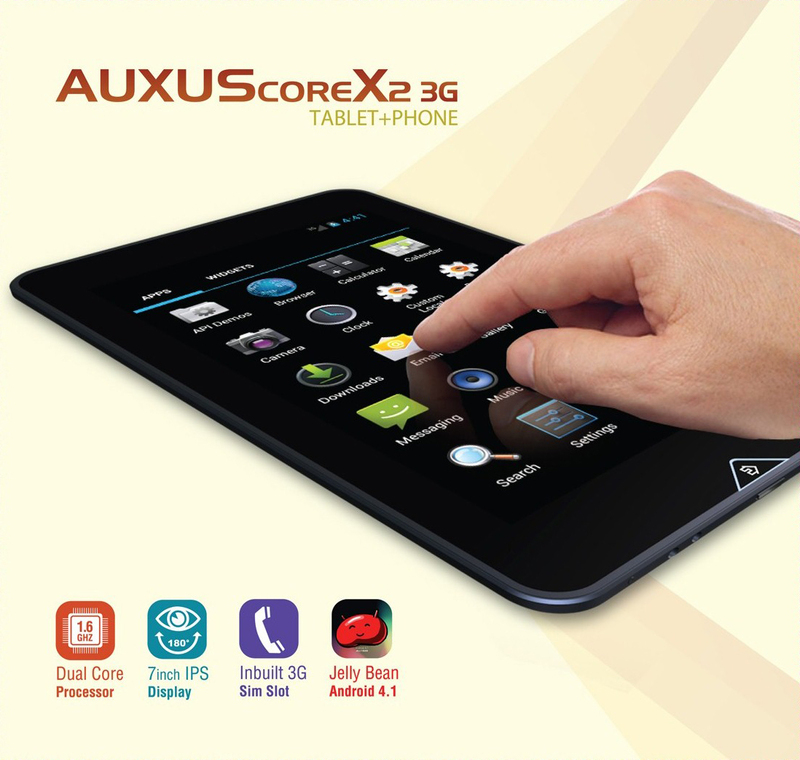 Auxus CoreX2 3G which runs on Android Jellybean 4.1 also comes with inbuilt SIM slot for 3G Internet & Voice calls. (The complete specification is linked herewith). 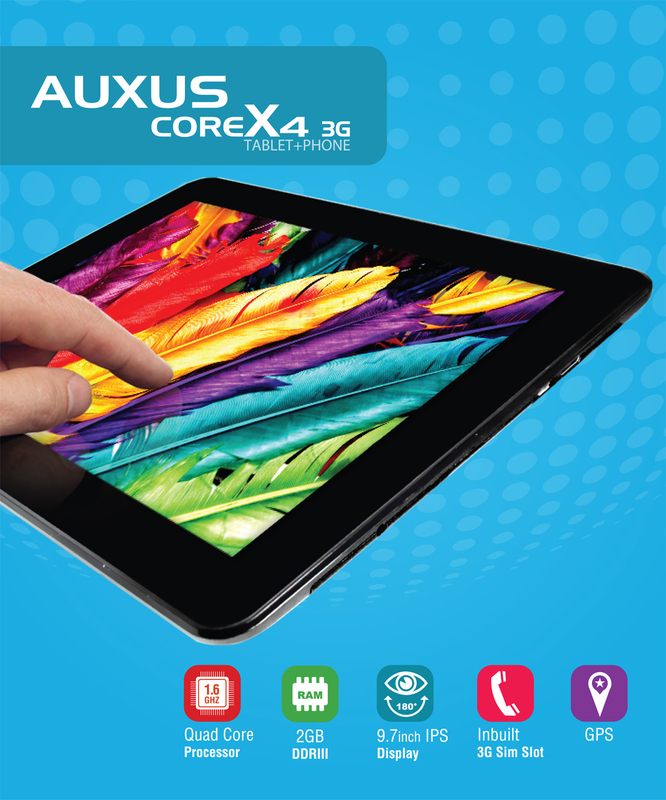 The second model Auxus CoreX4 3G, is the 1st ever attempt in India to equip a Quad-core CPU on a 9.7" Tablet PC. 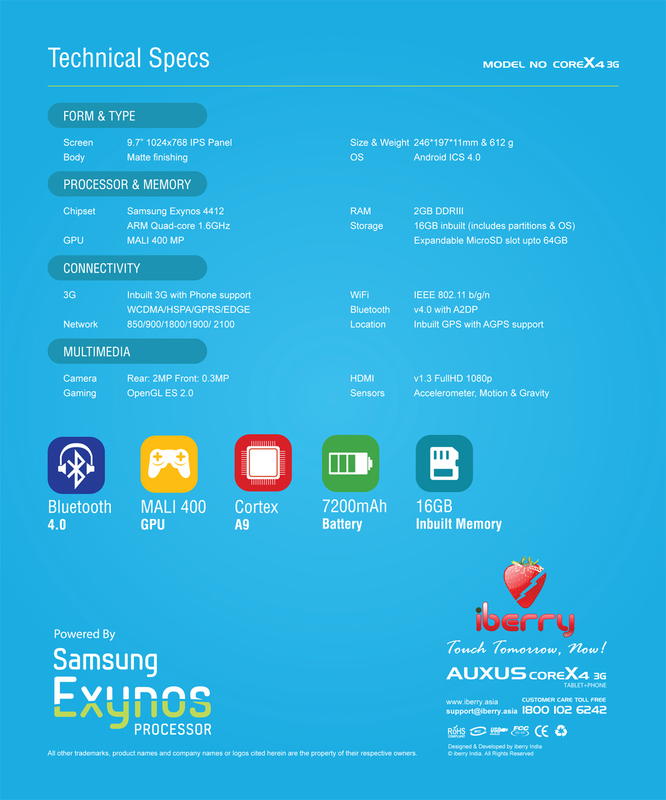 Auxus CoreX4 3G boasts of Samsung® Exynos™ 4412 Quadcore 1.6GHz 32nm HKMG processor with 32-bit dual-channel DDR3 RAM of 2GB. With its presence of inbuilt 3G SIM slot, GPS, IPS display, 16GB inbuilt memory, Auxus CoreX4 3G stands as one of the premium 9.7" Tablet PC at an economical price. (Linked herewith its complete specifications). "Speed is an important factor than cost". In the current Indian buyers' purchase-trend, they do not mind spending couple of more thousands provided they get the best-in-class performance, quality and technology. With most of the current Indian Tablet PC companies focussing on low-end low-price Tablet PCs, we at iberry, take a leading edge in the market with our new ventures, Auxus CoreX2 3G and Auxus CoreX4 3G.